Easy, the eclectic and quintessentially LA love child of The Shrine’s Josh Landau, pro-skateboarder Don “Nuge” Nguyen, Run The Jewels’ producer Wilder Zoby and Amoeba Records manager Jordan Jones, has been churning out scuzzy power-pop anthems peppered with catchy riffs and head-banging solos since 2017, and their latest release, “Nothing New,” finds them honing their infectious and scorchingly overblown sound with one foot firmly on the gas petal. Lead singer Landau’s scowling wail gives way to rough and frenzied guitars that teeter on the edge of control, equal parts delirious and exhausted, echoing that half-angry, half-sad feeling of watching someone you love slipping into a downward spiral. This is a song that makes you want to drink or dance or howl at the moon. This is a song that pushes back against you in a dark room, that makes you want to drive through the dead of night until you can see the ocean or the Grand Canyon or a way to save someone who doesn’t want to be saved. 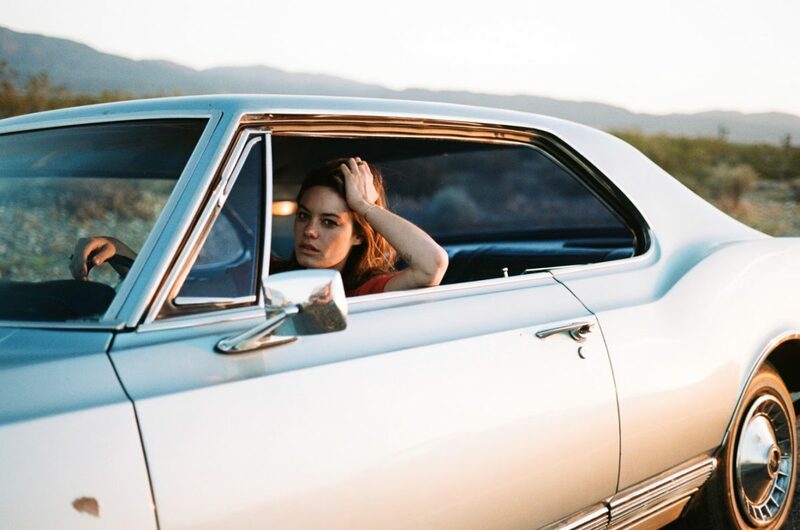 Their simple and sun-bleached music video, shot on 16mm film, is the perfect accompaniment, featuring supermodel and actress Camille Rowe embodying an effortless California cool as she hits the road to outrun her problems. Shot through with blistered and brooding feeling, “Nothing New” is a gut punch about the beauty and pain of letting go and the eternal blessing of the wide open and empty road, with nothing behind you and everything ahead. “Nothing New” drops just in time for Easy’s hometown show this Friday, September 7th at The Echo, which also features a fresh line up of some of the best homegrown musicians LA has to offer, including The Entire Universe, Crush (Cole and Zumi from The Black Lips) and DJ sets from Blake Anderson and The Blackout’s (Ako and Atiba Jefferson). Grab your tickets here, because it’s bound to be one for the books.